Things are going great in the gym. 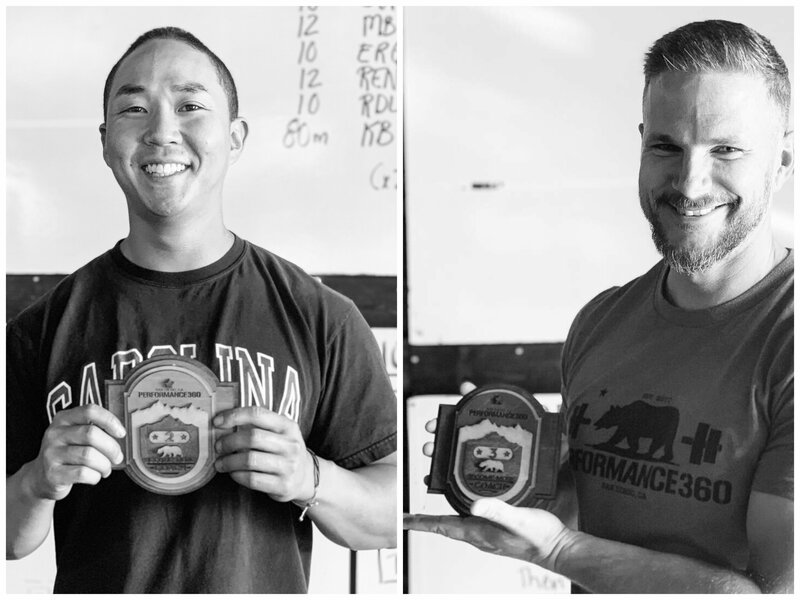 You’re hitting PRs on your lifts, you’re eating well, you’re sleeping enough, but eventually your gym progress is going to hit a point where it stalls. You can’t put 5 more pounds on your split jerks. You can’t stand up the weight you’re trying to clean. You can’t get to the next higher box jump. It just may be time to focus on increasing your back squat. 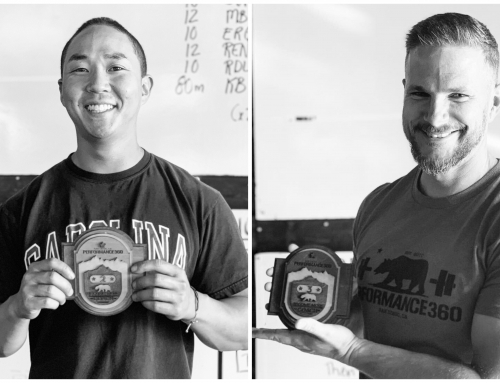 Having a bigger squat will translate to increased performance across the board (and a more voluptuous bum), even in lifts where it seems your legs aren’t as important since all of our power is generate from the lower half. Developing a strong posterior chain that allows you to better extend your hips. Hip extension = power. Strong quads to aid in sprinting and jumping. A solid core to hold weight without collapsing and maintain isometric holds. 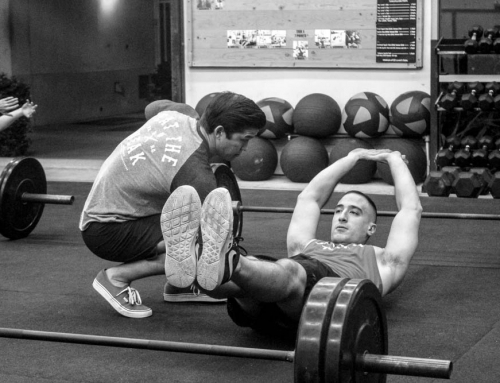 Creating a stronger back for all of your pulling/pushing and rowing exercises. The following will take you quickly through the squat, from the set-up to re-racking the weight. It is by no means all-inclusive, but hopefully will provide some hints and tips to help you increase your back squat. First you want to know where to place the bar on your back. Most people will benefit most from training a high bar squat, where the bar sits across the meaty part of your traps. 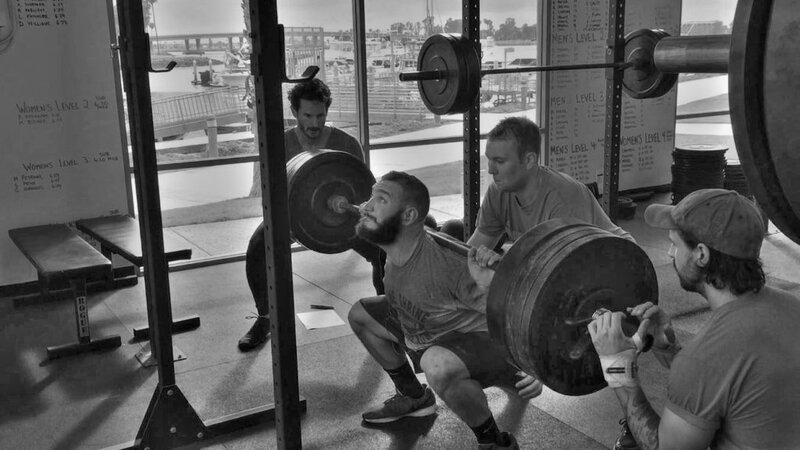 A high bar squat will allow you to keep your back more upright (under reasonable weight), is slightly more quadriceps dominant, and can allow greater depth in the hips. high bar squat will force the lifter to maintain a more upright position so that it is easier to keep the hips under the bar. Wade performing a 425# high bar back squat. Bar on the traps, more upright torso, leading to more quads. In a low bar squat, the bar sits across the rear deltoids, 2-3 inches lower than a high bar position. Low bar squats cause the upper body to lean forward more than high bar and are generally more glute and hamstring dominant. Ashley performing a 215# low-bar back squat. Bar on the deltoids, more forward torso, leading to more hamstrings. It’s important you find the right set-up that is most appropriate for your body type. Play with both until you find it. Hand placement will vary based on the your shoulder, wrist, and elbow mobility. The closer the hands can get, the more likely you are able to create a tight immobile upper back (which you want to have during a heavy squat). 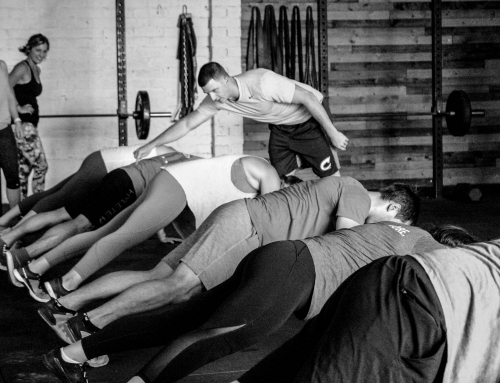 Once the hands and back are set against the bar, nothing should move (or have room to move). 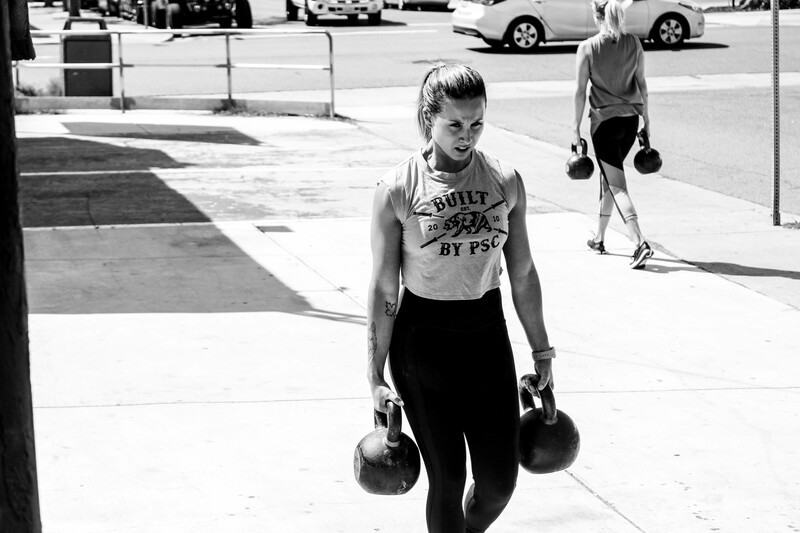 Just before un-racking the bar, both feet should be firmly planted under your shoulders in preparation to receive the weight. The core needs to be fully braced in order to transfer the force from your legs to move the bar. And finally, the walk out of the rack should be taken in as few steps as possible. You only need one step backward with each foot to step away from the uprights, and then one more side step for width adjustments, if necessary. 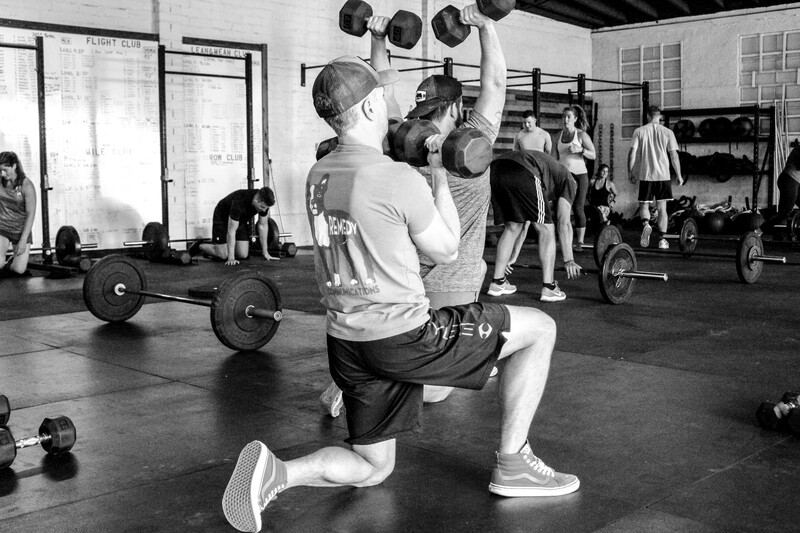 All of your energy should be saved for the squat and not wasted in the set-up. Bracing for the descent is one of the most important aspects of the squat. How well you brace your core before you descend will make or break the lift. This is accomplished by taking a extremely large breath, filling the belly and pushing out into your obliques in a 360 degree manner. 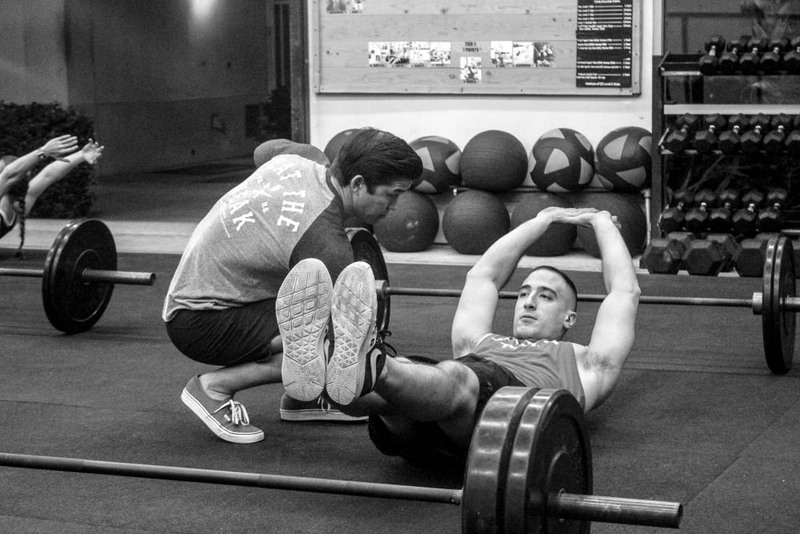 This strong core you’ve created should not move, tilt, or extend in any manner throughout the entire lift. 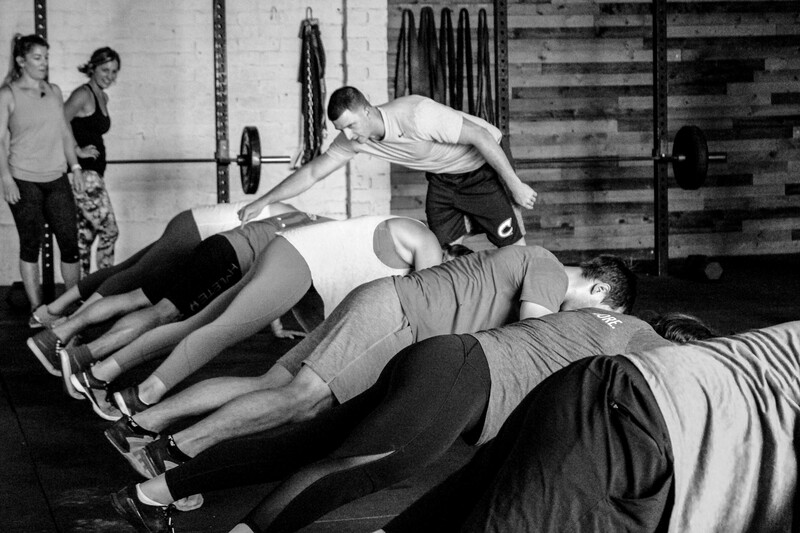 As you take in your bracing breath, you should also also engage your glutes and solidify your (hopefully) already tense upper body. Your weight should be toward the mid-foot and heel to avoid rolling forward on the balls of your feet. As you descend, your speed should be as quick as your body will allow while still under full control. Every squat rep you perform should be treated as though you have your 1-rep max on your back. Coach Brenna hitting a 290# back squat at Performance360. Your warm-up speed and effort should look exactly like your top sets. Last but not least, you need to make sure you are getting below parallel. The crease of your hip should be below the top of your knee at the bottom of you squat. Failing to squat to depth does inhibits full range-of-motion of your leg muscles and you will not fully benefit from your squat workouts. Many lifters take advantage of the stretch reflex at the bottom of the squat to begin their squat ascent. 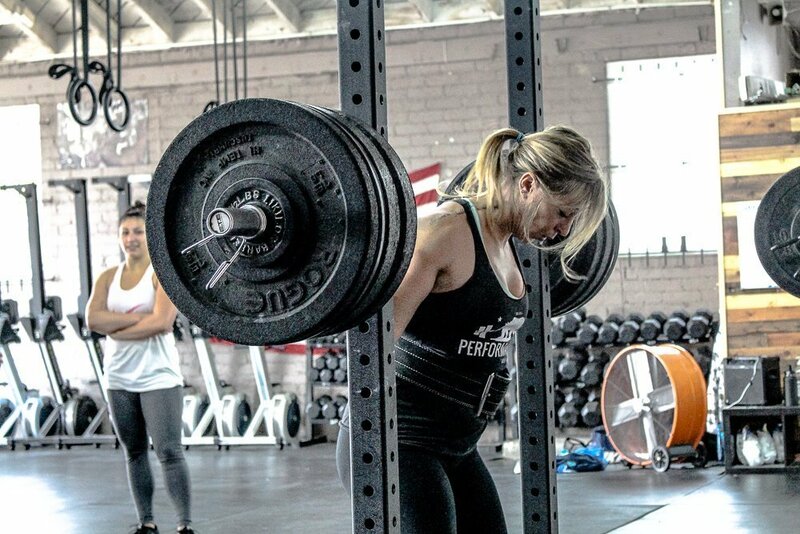 Few people (with the exception of geared lifters) can put heavy weight on their back, squat to a dead stop at parallel, and reverse the direction of the weight. Instead, you can use the “bounce” at the bottom of the squat, where your hamstrings contact your calves, or at the point where your natural knee and hip mobility stop you. This can be very advantageous to allow you to hit depth and get out of the deepest part of the squat. This does not mean that you lose your tension at this point. In fact, it necessitates even stronger glute and quad contraction to maintain control of the weight. Drive your hips under the bar. Don’t let them shoot back behind you. If that happens, your leverage is off and you have just made the lift exponentially more difficult. Focus on pushing your upper back and traps into the bar with force. Don’t give up! 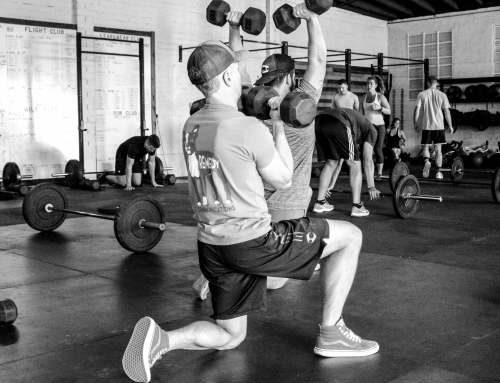 Finishing a really difficult squat may be a slow grinder, so keep your form tight, explode upwards by pushing your feet into the floor, and do not stop the second it gets tough. Remember that there is no cookie cutter way to squat. Everyone has short or longer limb lengths than others, joint angle differences, old injuries to accommodate for, mobility differences, ligament and tendon “stretchiness” dissimilarities, and so on. All of these mean that everyone will have to tweak the steps of the squat to suit them best. 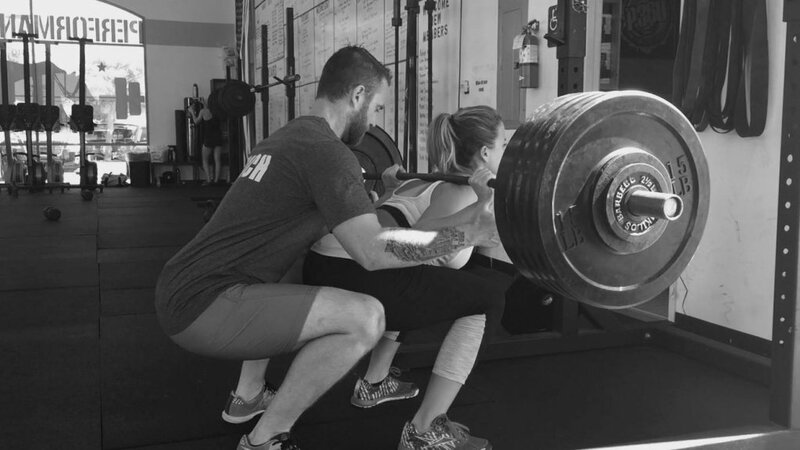 Finding the correct form for you to squat with is your first step in getting a bigger squat. The second step is simple: Squat more. 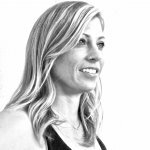 Brenna Bulach is a coach at Performance360. She is a USPA Raw Powerlifter with IPL Elite Powerlifter ranking and a 5th place finish at the IPL Worlds in 2015. 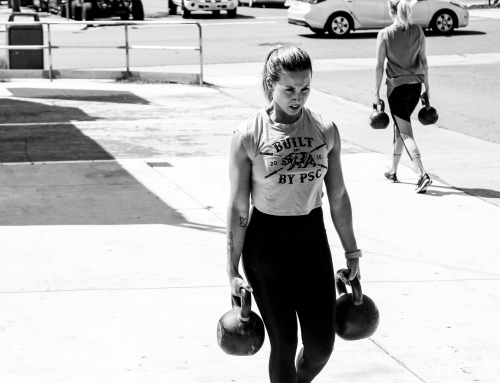 Brenna’s all time competition personal records include a 385# deadlift, 325# back squat and 170# bench press.